Read-Alouds instill a love of reading in students and help them to build an appreciation for great books. Read-Alouds introduce students to amazing new genres and authors that they might not necessarily be drawn to on their own. Read-Alouds allow students to access texts that may be beyond their individual reading levels. 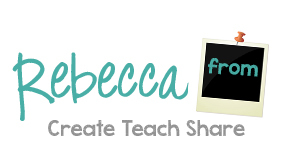 Read-Alouds are perfect for teachers to model reading fluency. Read-Alouds provide the perfect opportunities to teach, model, and practice reading strategies and skills!! With novel read-alouds being such a meaningful part of language arts instruction, it's important to make sure that you select just the right books!! And I feel that it's even more important to make sure that you pick just the right book to start the year out on the right foot!! Does this book include characters that students can relate to? Does this book cover topics or themes that may interesting or relatable to your student population? Do the chapters end with cliffhangers or foreshadowing? Is the story easy for students to follow as a read-aloud? If your students are HOOKED on the first book you read, this will only help build and encourage the routine of reading aloud to your students. The goal is for students to be excited to come into class each day, ready to hear a good story. Each year after we finish our first novel, my students CAN'T WAIT to see what we will read next. 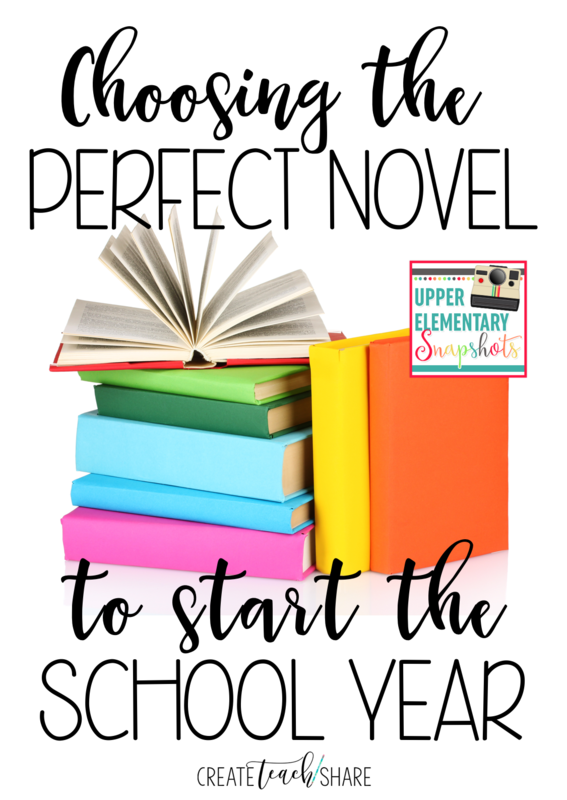 If you pick just the right book, with just the right themes, you will be able to use your read-aloud to discuss the types of behaviors and sense of community that you hope to build in your classroom during those first weeks. In the upper elementary classroom, there is no reason that you should not start teaching from the very first day!! Reading novels aloud to your students is the perfect opportunity to start teaching reading strategies and skills. When choosing a novel to read aloud, you may want to plan ahead to see what skills and strategies you want to teach during those first weeks. Then choose a novel that will cover those skills. Whenever I read a novel aloud to my class, I like to use a planning guide to focus on certain strategies and skills, and to outline what I would like to focus on as we make our way through the novel. Of course, I do not always follow my plan, but it is still great to have one in place!! 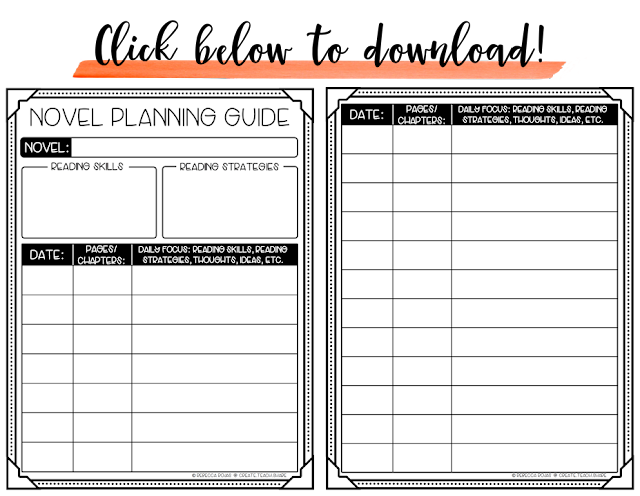 Here is a Novel Planning Guide that is perfect to use when aligning your skills, strategies, and standards to the novels you choose throughout the year. The first weeks of school are also a great time to teach routines related to writing reading responses. In my classroom I like to use Reading Response Journals throughout the entire school year. Students use their journals to "respond" to the different novels we read all year long. I always use the first weeks of school to have students put together their journals for the year. 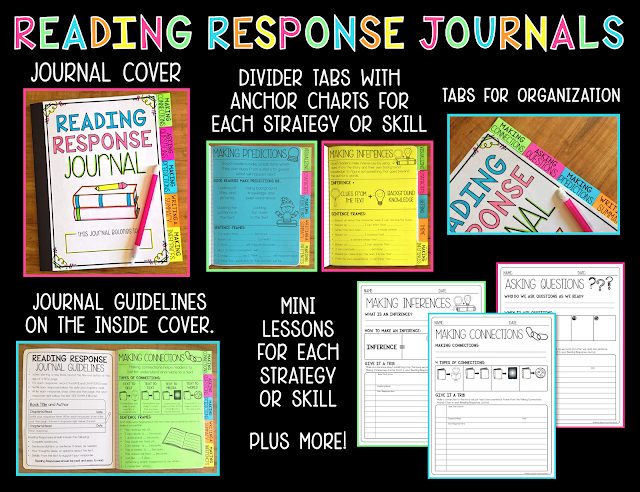 Click the pic below to learn more about my Reading Response Journals. The first chapters have students laughing out loud and the final chapters bring them to tears. (happy tears, of course) This book is engaging to students from start to finish!! It is told from multiple points of view, allowing students to connect with different characters. Important themes are covered (kindness, friendship, overcoming challenges, celebrating differences) allowing for great classroom discussion and community building. While this book has worked wonderfully for my 4th and 5th graders over the past few years, I know that there are so many other fabulous books out there. When choosing a book to start your year, please remember to consider the criteria above, the grade level you teach, and your own student population!! Happy Reading! !